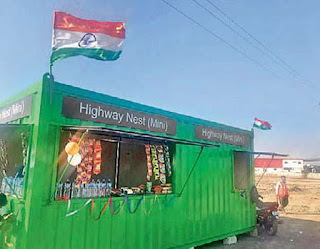 Locating hygienic roadside amenities stalls on national highways are definitely a deed of hard work. The National Highways Authority of India has been proactively integrating ways to enhance a commuter’s journey experience across the national highways, their latest venture being the Highway Nest (Mini). 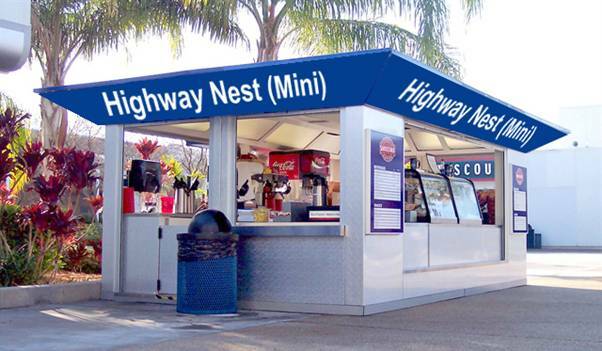 These wayside amenity kiosks are definitely going to put an ease to a highway user’s trip. With over 300+ toll plazas across the entire country, the process of installing these Highway Nest (Mini) is set to be inaugurated on 50+ locations across India on January 26th, 2018 on the auspicious occasion of India’s 69th Republic Day. • Dapper Toll Plaza in the Ambala Zirakpur Road by the honourable MLA Mr. N.K. Sharma. • Baddopatti TP (Kaithal-Raj Highway) by the MP of Hisar, Mr DushyantChautala in the presence of the MLA of Barwala, Mr VedNarang. 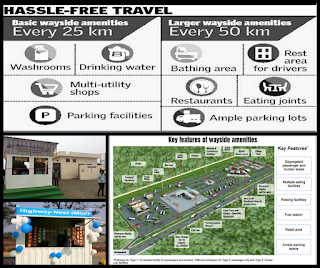 The facilities provided by these kiosks cater to every possible requirement that a person travelling on a highway could want, from eatables to beverages and short stay parking to toilets. These are constructed keeping the people’s convenience into account because highways most of the time tend to lack such good and reasonable wayside amenity shacks. These roadside shacks are also set to generate employment for people which is definitely an added bonus. This is just the beginning of the list of such wayside amenities that are going to be inaugurated on the 69th Republic Day of India. More than 50 such Highway Nest (Mini) are set to be inaugurated in different national highways across the country. Highway Nest (Mini) has been part of NHAI’s ambitious plan which is finally gaining shape. I am glad to know about the New amenities of NHAI, it will be useful for frequent travelers. India’s digital footprint is expanding at a rapid speed with the heavy rise in the Mobile users, Data usage, and Internet connectivity. This is, in fact, aiding the Government of India (GOI)’s ambitious Digital India program. Taking a cue from GOI’s Digital India program, NHAI has come with the revolutionary practices and processes in the Highway sector to deliver World-class services to the public.